Posted on September 28, 2017 by treelawyer	tagged. Did that plaintiff ever have gall … or gull … or cojones or something! What he didn’t have was any proof. The plaintiff in today’s case had his foot broken when a branch from his neighbor’s tree fell. So how was he different from this rather odd-looking seagull sitting on a seawall to our left? 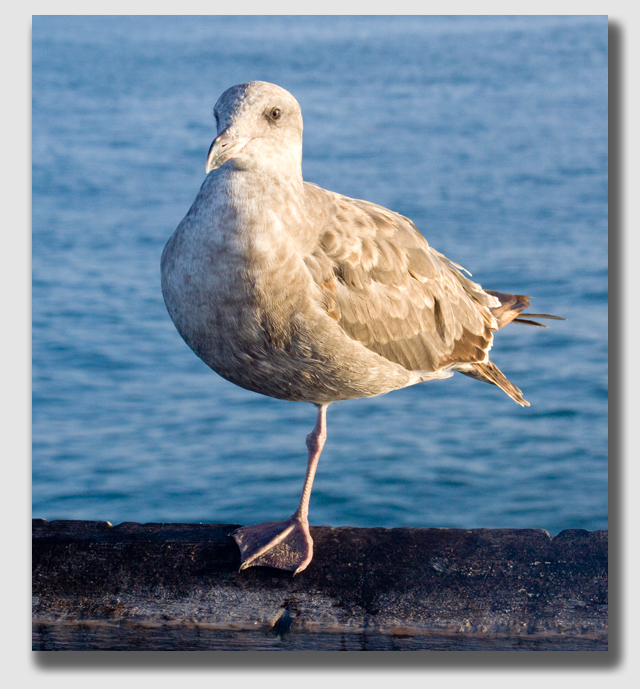 Easy – the gull has a leg to stand on. Our hapless litigant – Rick Meyers by name – lived next to a man named Delaney, who owned a catalpa tree. The catalpa is a pretty good-looking deciduous tree that drops bean pods and leaves in the fall, but little else. It’s a solid Anglo-American tree, flowering in the spring and with large leaves and deep shade in the summer. In fact, it’s the sole food source for the catalpa sphinx moth, a creature favored by southern anglers as bait. Birds love it, caterpillars love it, fishermen love it … and so do most people. That list would exclude our hobbling protagonist, Rick Meyers. The Delaneys’ catalpa tree provided shade to Mr. Meyers’ driveway with its overhanging branches. But one day, Rick had run barefooted outside to put up the car windows (we suspect a thunderstorm was about to hit, which would have been accompanied by gusty winds, but the record didn’t say as much). While he was doing so, a branch broke free from the tree and fell on his foot. 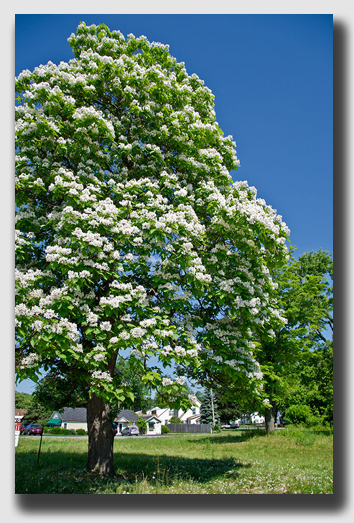 A catalpa -beloved by fisherman and fowl – but not by Rick Meyers. Rick didn’t have a shred of proof that anyone – including the Delaneys – had reason to know that the branch was going to break. But lack of evidence would not inconvenience our Rick. He sued anyway, claiming that as owners of a tree in a residential area, the Delaneys had a duty to know the branch was going to fall, and never mind how they were supposed to have figured that out. You see, Rick’s foot hurt, and someone had to pay. The trial court took a more sanguine view. 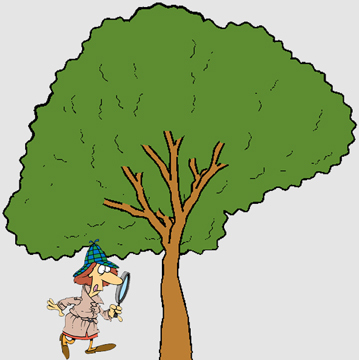 It believed that if the Delaneys couldn’t clearly see that the tree was dangerous, they couldn’t be found to be negligent because they had not sleuthed it out. The Iowa Supreme Court agreed. 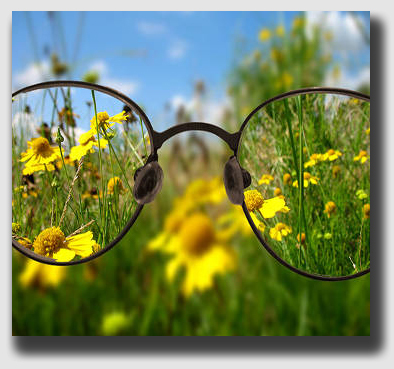 The risk has to be seeable before it can be found to be foreseeable. Meyers v. Delaney, 529 N.W.2d 288 (Iowa Sup.Ct. 1995). Meyers and Delaney owned adjoining properties. Standing between their homes, but on the Delaney homestead, was a large catalpa tree. The tree limbs hung over the Meyers driveway. The Meyers family parked cars under the branch each day, and the Meyers kids played around it when outside. One evening in mid-July, 1990, Rick Meyers ran barefoot out to his car to roll up the windows. He heard a large crack, and then a large catalpa limb fell from the tree, striking and severely injuring his foot. He sued the Delaneys for negligence, claiming they failed to maintain the tree properly, failed to warn him of the dangerous condition of the tree, and failed to protect him from a danger that in the exercise of reasonable care the Delaneys knew or should have known existed. The trial court found that the Delaneys neither knew nor should they have reasonably known the tree was dangerous, so they were not negligent. Rick Meyers appealed. Held: The Iowa Supreme Court agreed that the Delaneys were not liable. The Meyers v. Delaney rule – a tree’s defects are not foreseeable unless they’re seeable. The Court noted that the general rule is that one who maintains trees owes a duty to avoid injuring persons on adjoining premises by permitting a tree to become so defective and decayed it will fall on them. However, the Court held, there is no duty to consistently and constantly check all trees for non-visible decay. Rather, the decay must be readily observable in order to require a landowner to take reasonable steps to prevent harm. If the decay or infirmity is readily observable, the tree owner may be liable for injuries caused by a defective condition of the tree if he or she had actual or constructive notice of the trees defective condition. In this case, the catalpa tree had had a dead limb removed by a friend of the Delaneys the summer before. The friend, who had some experience working in trees, testified he observed nothing in the tree to cause him concern about his safety. Furthermore, while Meyer’s expert tree trimmer testified that the tree was dangerous, he conceded on the stand that there was nothing that Delaneys could have observed about the tree before the accident that would have alerted them to be concerned over its safety. Thus, there was no negligence.